A man has been charged in connection with the death of a 29-year-old mother in Greater Manchester. Margaret Smythe was last seen at home in Swinside Road, Bolton on 26 January. Her body was found nearby at the rear of the Red Bridge Pub on Red Lane, Breightmet, Bolton on 1 February. Brian Ottley, 29, of no fixed address, is accused of assisting an offender and perverting the course of justice. He was remanded in custody and is due to appear before magistrates on Monday. 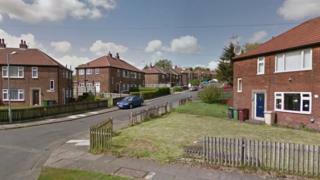 Christopher Taylor, 39, of Greenroyd Avenue, Bolton, is accused of murdering Ms Smythe.